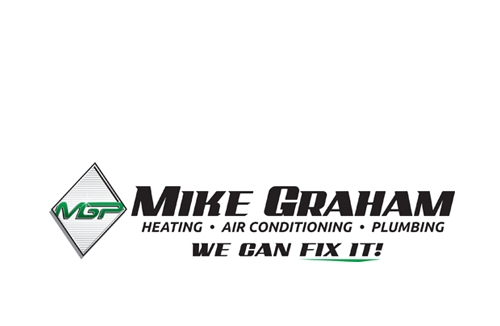 For over twenty years Mike Graham Heating And Air Conditioning And Plumbing has been the most trusted professional heating & air conditioning company for both home and business owners across Wichita Falls. Our certified Wichita Falls Air Conditioning Contractor can provide a wide range of products and services that will keep your home comfortable year round. We pride ourselves with impeccable customer service and have built a reputation as an honest, dedicated, efficient company that gets the job done fast and get is it done right every time. Summers in Wichita Falls get hot. When your AC goes out, you need to know that you can get emergency service with no hassle. At Mike Graham Heating And Air Conditioning And Plumbing, we can get your AC back up and running in no time at all and restore comfort back to you and your family. With over two decades of emergency repair experience, there is no job that we can’t tackle. When you need a dependable Wichita Falls Air Conditioning Contractor that you can trust to get you out of that bind and out of the heat, then contact Mike Graham Heating And Air Conditioning And Plumbing right away. We are the AC Repair Experts! Texas winters can be just as harsh as the warmer seasons. When the temperature runs into the teens, the snow is piling up, and the winds are high, the last you thing you need is for your heater to go out. Our Wichita Falls Heating Contractor offer the same fast, dependable service when your heater goes out as we do with AC. We run a full unit diagnostic, and then give you accurate evaluations and an honest and fair estimate. Our repairs are guaranteed to get your unit running once again, and keep your family safe from winter weather. Dirty air in homes is common. Air pollution in any room in your house can be caused by any number of factors, such as faulty AC Units, poorly sealed ventilation, allergens from pets, or dust that lingers on items such as window shades, ceiling fans or appliances. Dirty air can either cause or irritate certain respiratory conditions like asthma. We carry a great line of air cleaners that will purify your home’s air in no time and help you and your family to breathe easier. The reason why so many residential and commercial owners rely on us for their heating & air conditioning needs is because we only use the highest quality industry standard products by brand name companies that you know and trust. We install all products according to manufacturer’s specifications in order to insure that you will benefit from your Heating or Air Conditioning Unit for many years to come. We understand the sizeable investment that any AC purchase can be. We value our clients and work hard to achieve your absolute satisfaction. Generators – Do You Want to Weather the Storm Without One? If you are looking for a Wichita Falls Air Conditioning Contractor then please call 940-569-5422 or complete our online request form.